The year is 2013. Edward Snowden has leaked information detailing the massive metadata spying operation carried out by the National Surveillance Agency under President Barack Obama. I was raised on red, white, and navy blue—on game day nachos, screaming at the TV, and a godlike vision of Tom Brady. When it comes to the rules of the game of football, I can’t tell you much. I know the touchdown, the interception, the two-point conversion. But that’s not even the point of it to me. Last November, the Beacon published an article entitled “Emerson declared a sanctuary campus.” We watched as the article was passed around on social media, becoming one of the most shared articles of the semester. Unfortunately, we were wrong. I slumped to the floor with my back pressed against the tiled wall in the bathroom of a cafe in Concord, Massachusetts where I attended a pretentious boarding high school. I overheard latte orders being shouted at bustling employees by shrill white women in Lululemon yoga attire as I held my head with one hand and outstretched the other, dangling the recently peed upon pregnancy test for my best friend Noa to read. I am standing in the gift shop of the Anne Frank House in Amsterdam, head slightly cocked, puzzling over the cover of a book. It is The Diary of a Young Girl, the revered diary of Anne herself. A small seal in the corner reads: “Now available as an app!” Contemptuously, I wonder: what could this app contain? Emerson has been hailed as a trade school for media makers. With such a specific focus, it’s a wonder that we have so much division between programs. 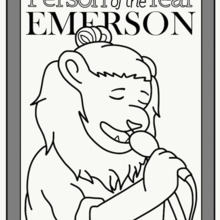 However, entering Emerson, I often feel obstructed by my lower-class upbringing. But even though many people embrace equality, gender expectations still remain. Part of feminism is the aspect of free will to express oneself as they choose. Do we need a train stop to validate our existence? Our college is in the center of a city with a rich and vibrant history, and ignoring that is not only entitled, but selfish. The purpose of allyship is not about being a good individual person in a corrupt society, but about actually helping dismantle the institutions that enable this corruption. Legalization should solve problems, not create more. Our reluctance to engage with our opposition manifests as weakness in our academic experience. At Emerson, we often seek empowerment for ourselves and others through the work we create. Rather than take greater advantage of this program, students have decided to rely on one another. That says volumes about the lack of trust students have in the department—they feel safer with their peers than with trained police officers.